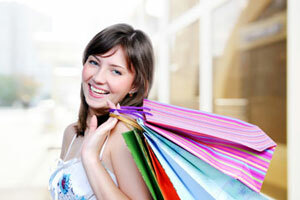 What is a »mystery shopper«? - Skrivnostni nakup d.o.o. A mystery shopper is a specially qualified person (not a pollster), who plays the role of a real customer and pretends to be an ordinary customer, but during a visit to shops, banks, restaurants … observes and evaluates the quality of sales services. Mystery shoppers are selected on the basis of certain required personality traits and qualities. They are specially trained in order that they can perform their tasks professionally and objectively. In the disguise of ordinary customers they obtain specific data important for the client. Before carrying out the mystery shopping, they are informed by the mystery shopping agency about the expectations of the client in relation to the assigned purchase. The task must therefore be performed according to a pre-established scenario that reminds them of what must they pay particular attention to and which data must be collected.